I’m sure all Marvel fans – unless they were hiding under a rock yesterday – have heard the news of the first casting announcement for season 2 of the Netflix series Daredevil. Rumors had been circulating for a while that Frank Castle – a.k.a. the Punisher – would be finding his way to Hell’s Kitchen in season 2 of the series and yesterday those rumors were confirmed with the official announcement that Jon Bernthal had been cast in the iconic role. “Jon Bernthal brings an unmatched intensity to every role he takes on, with a potent blend of power, motivation and vulnerability that will connect with audiences … Castle’s appearance will bring dramatic changes to the world of Matt Murdock and nothing will be the same.” – Jeph Loeb, Marvel’s Head of Television, quoted in the official press release. 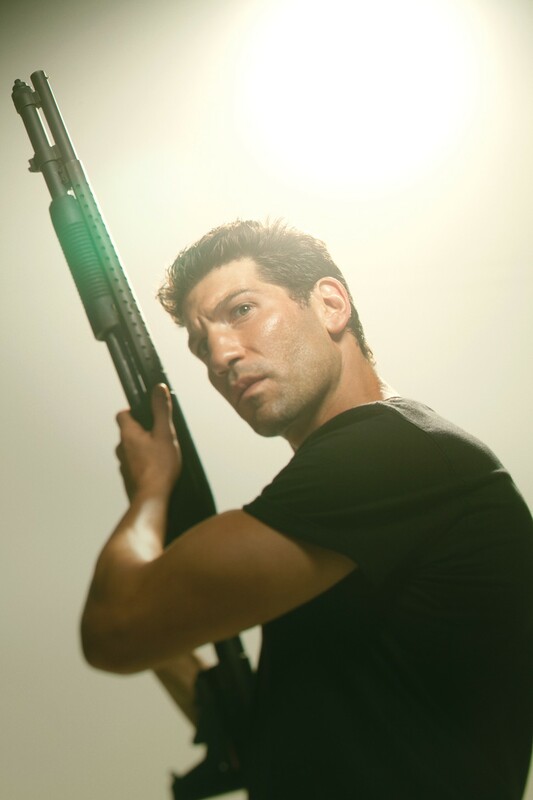 Bernthal is well known to The Walking Dead fans as Shane, Rick’s best friend/Laurie’s lover/psychopath and to be honest, he never would have even registered on my radar as a contender for The Punisher. I won’t lie – by the end of Shane’s time on The Walking Dead, I was ready for him to go. At first I had loved his character, but the further downhill he went, the more I was ready to say goodbye. This is in no way a reflection on Bernthal himself – I know he’s a great actor. I’ve seen him in many other things and have always been impressed with him. Or perhaps this is a reflection of his work – he was really good at making me hate Shane. If that was the goal, then kudos to him. So if I had to come up with a list of possible candidates for Frank Castle, Bernthal probably wouldn’t have made the list. When I first heard the announcement, after my initial excitement over the confirmation of Punisher coming to Daredevil, I was a little skeptical about the choice. However, the more I think about it, the more excited I get. I think Bernthal has the look and the attitude to pull it off. I’m really optimistic that he will do a good job. I’m also curious to see what they do with the character. Will they show his origin story? And now that he’s confirmed for Daredevil season 2, will he pop up elsewhere in the MCU? I’ll be honest, I haven’t read a lot of Punisher comics, the little I know about the character is from his appearance in other titles and the 2004 movie starring Thomas Jane. So maybe you actual Punisher fans will have a much stronger opinion on this than I do. So far Marvel has done pretty well casting their roles, so I’m inclined to be trusting. And at the very least, we all know he can play a gun-toting psychopath fairly well. What do you think of the Punisher joining Daredevil and Bernthal’s casting? Let me know in the comments!